Bob Jones grew up in Philadelphia, went to Westtown Friends, a Quaker co-ed boarding school and graduated from Penn Sate with a degree in Meteorology. He had two careers- one in insurance sales and the other in investment management. He retired in 1995 and became an environmental and anti-war activist. Since 2012, he has managed the farm and rentals, done gardening, and pursued other interests in meditation, yoga and higher consciousness work. He is also involved in a community group starting to prepare for climate change. This involves amelioration -individuals in the community taking steps to make the situation better, mostly around how to grow good more efficiently under trying conditions. Doris has lived on the farm for 30 years and raised her children there. The core of the original farmhouse dates back to 1850 and was a rough hewn cabin hauled from a nearby pond. 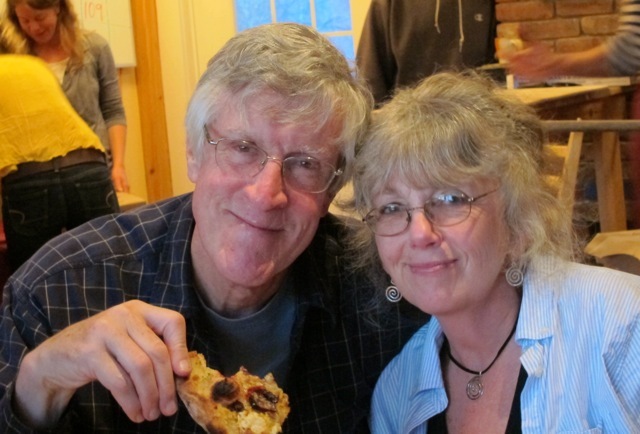 Bob joined her in 2012 and together they have renovated buildings, built new structures, put in a farm pond, expanded the vegetable gardens and small orchard and added rental housing.